Due to the arctic conditions of the last few days I’ve already accidentally moved on to a new way of cooking. Not that there’s been much of the summery sort this year; when I wasn’t working or away it was either freezing, piddling down, or for some inexplicable reason, dark already. It’s been an amazing summer I know, but let’s face it, if it’s remembered for its weather it won’t be in a good way! 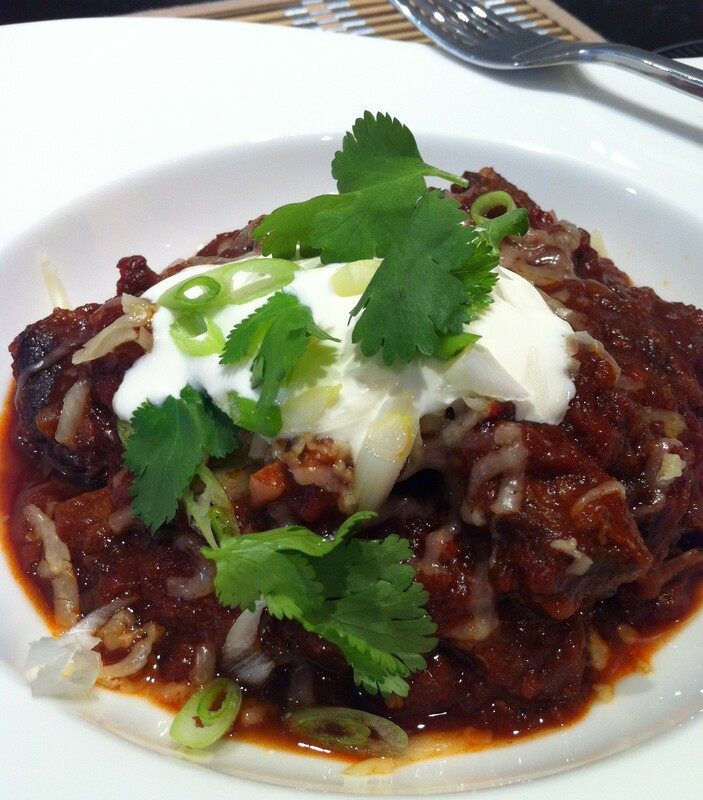 Posted in Smoky Chipotle Beef and tagged Beef Chilli, Chipotles, Donna Hay, Recipes. Bookmark the permalink.